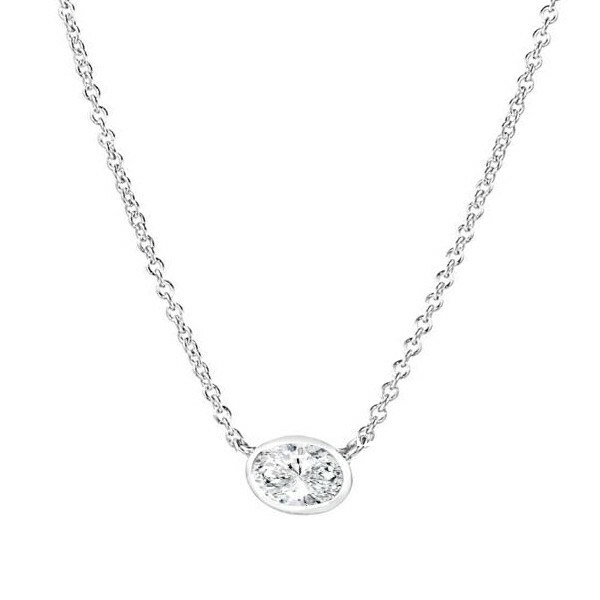 This outstanding necklace from Forevermark's Tribute collection features a bezel-set oval-shaped .20ct diamond pendant positioned horizontally. With its minimalist look, it's destined to be a modern classic. Totally on-trend, this Forevermark pendant necklace has a timeless beauty, making it a brilliant addition for your jewelry wardrobe!